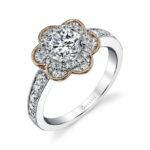 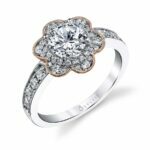 This unique white and rose gold flower engagement ring is gracefully accented by placing the 1 carat round brilliant diamond center in a halo of dazzling diamonds. 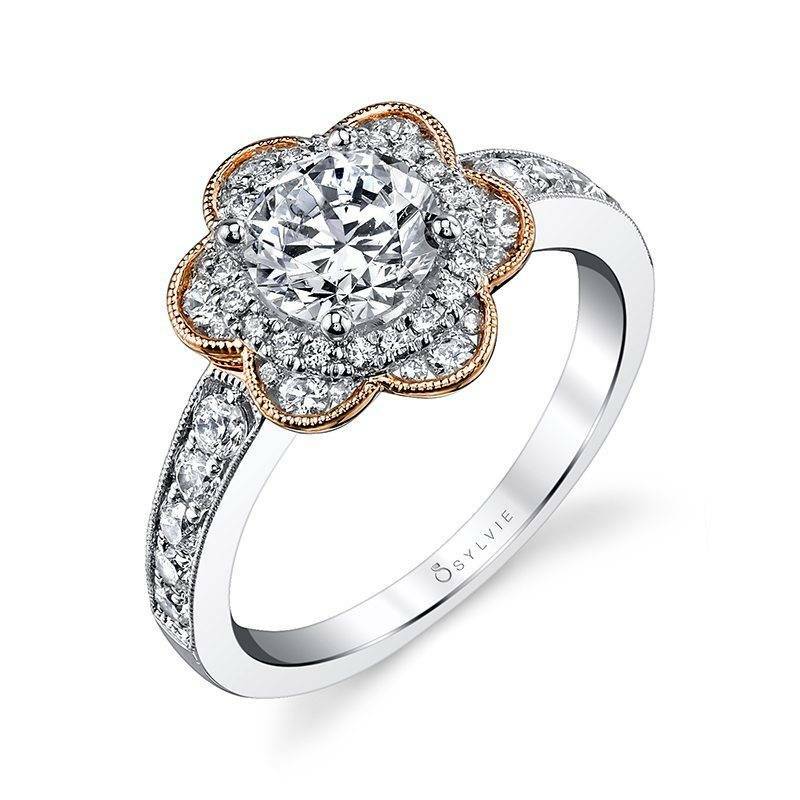 Milgrain edging in rose gold frames the petals of enclosed diamonds in various sizes, all blooming around the halo and center stone and resting atop a band of cascading diamonds nestled in a milgrain framed channel. 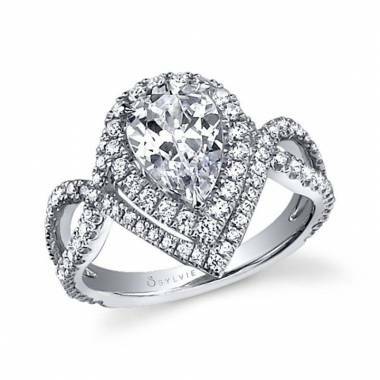 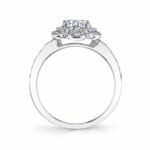 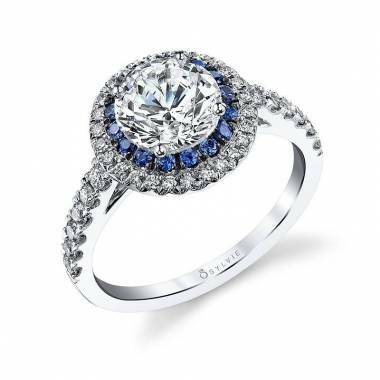 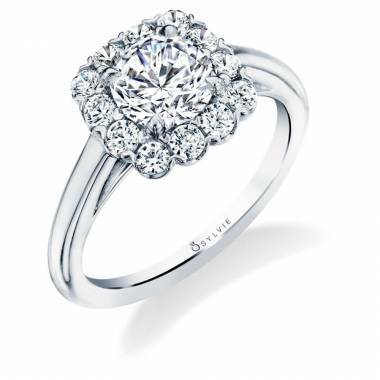 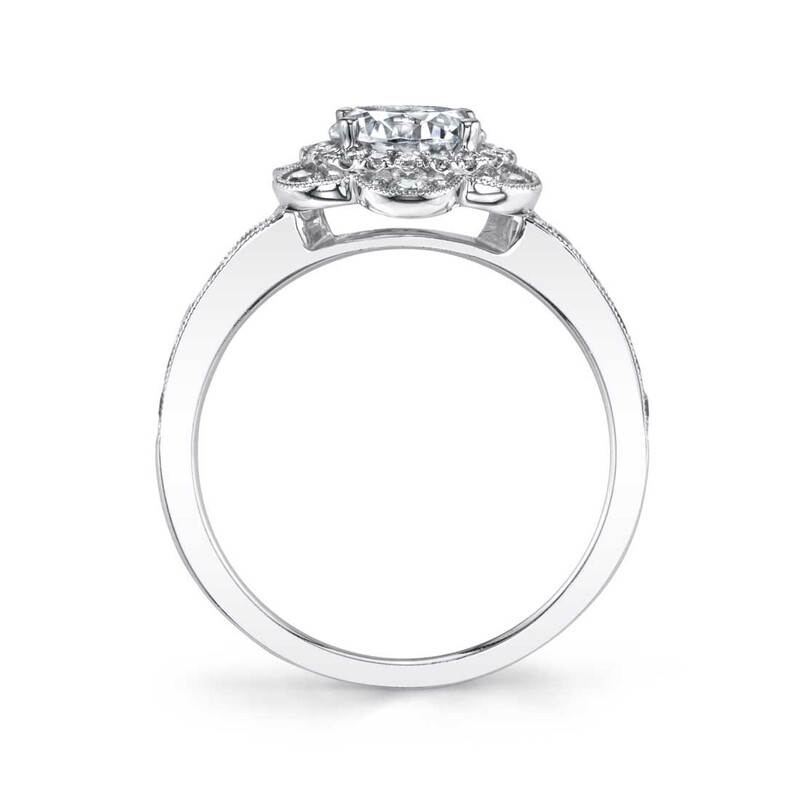 The total carat weight of this delightful ring is 0.59.